Some unpleasant weather is expected to vacation in Newfoundland over the next couple of days. Heavy rainfall forced its way onto the west coast overnight. When all is said and done, western Newfoundland could end up with 30 to 50 mm. Heavy freezing rain is expected in Central Newfoundland with over 20 mm possible. There will also be some freezing rain along the west coast, however, it will not be as extensive as what it expected in Central. This morning there are many school closures in anticipation of the freezing rain. Most of the Island this morning is above the freezing mark with the exception of locations on the Great Northern Peninsula. 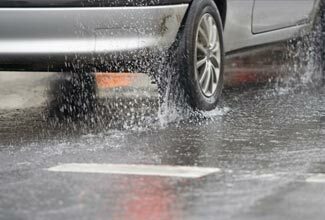 Along the west coast there is considerable water build-up in some spots and hydroplaning is a concern. At the earliest, freezing rain will start around 9 am.